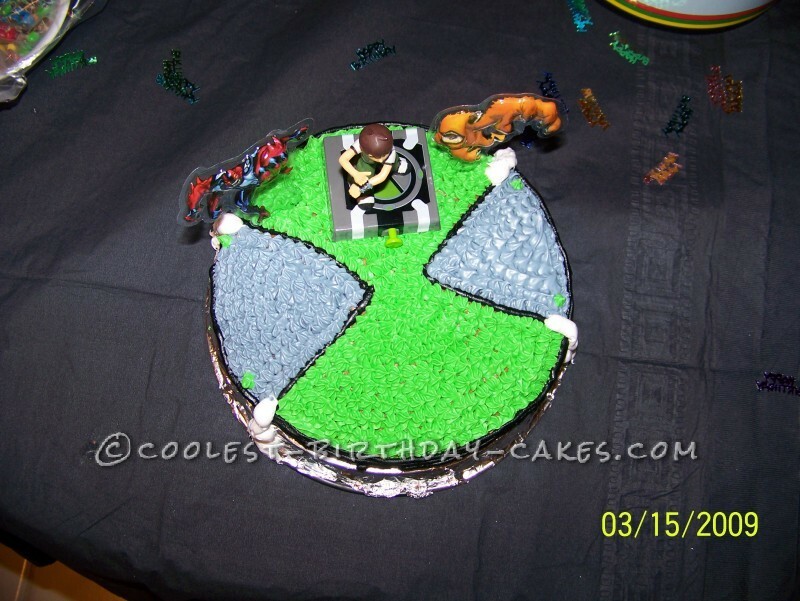 My son loves the show Ben 10, so for his 6th birthday I wanted to replicate the wrist band toy that he always wears. 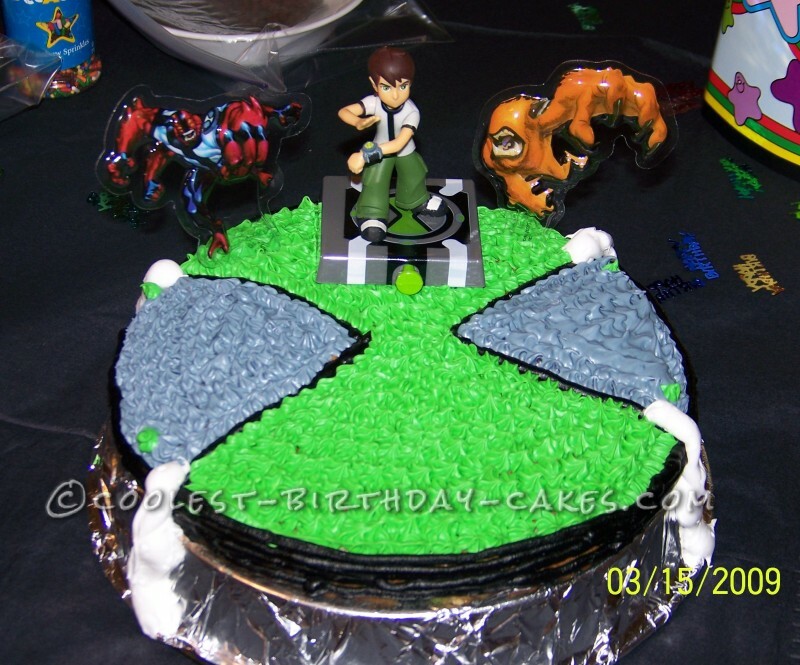 I used this as a model to make my Ben 10 birthday cake. 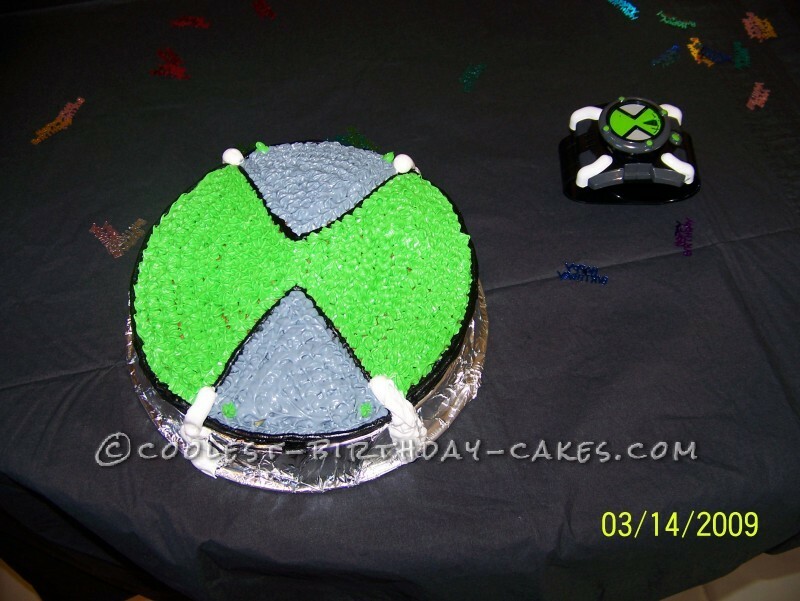 I also bought a cake topper to add a little decoration to it. When you pushed a button on the topper, Ben tapped this watch, which was what he was sitting on. So, first I covered a round cake pan in foil to use as the base of my cake. 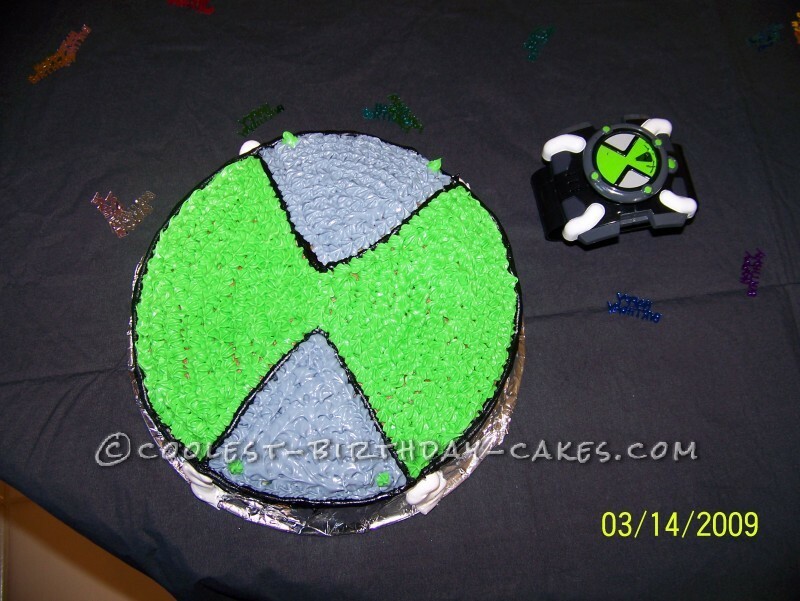 I then made one round cake and decorated it with green and gray and black to look like the top of the wristband watch that Ben 10 uses to make his aliens appear. 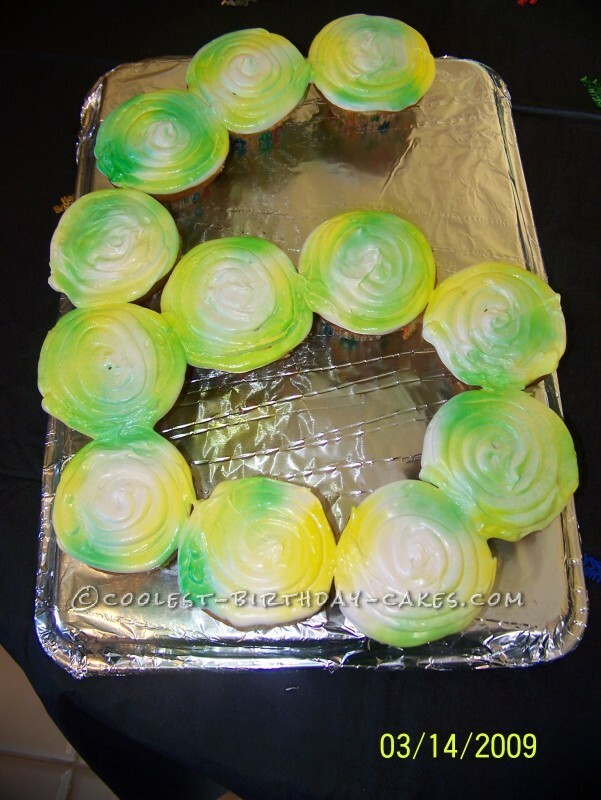 Since there wasn’t much cake on this, I also made cupcakes sprayed with green and yellow and put it in the shape of a 6, since he was turning 6 years old. 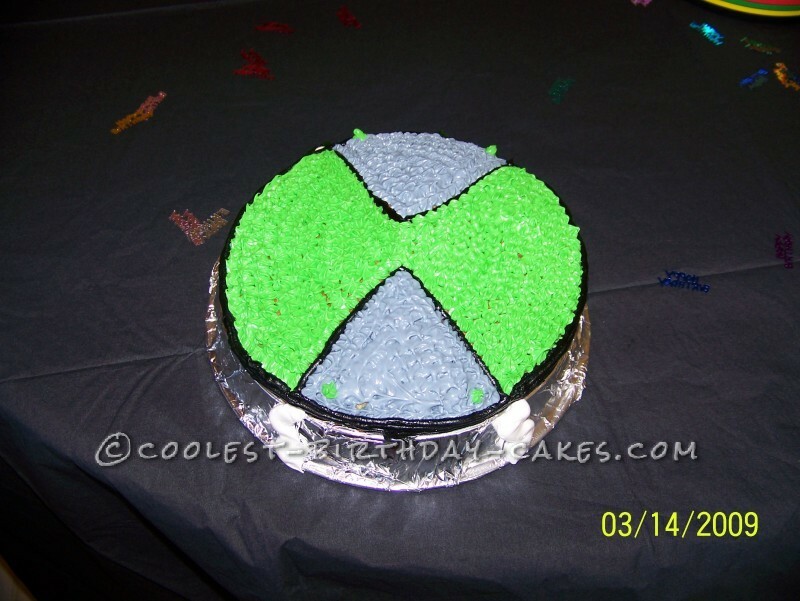 This way I had enough cake for everyone. It was fun.